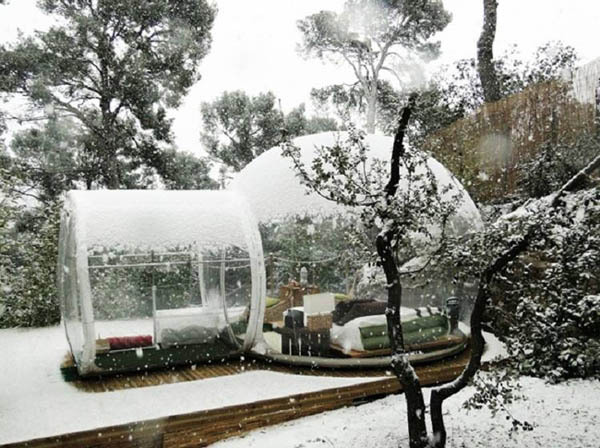 If you think Attrap Reves Hotel in France is cool, you probably will be happy to know you can have something similar just in your backyard. 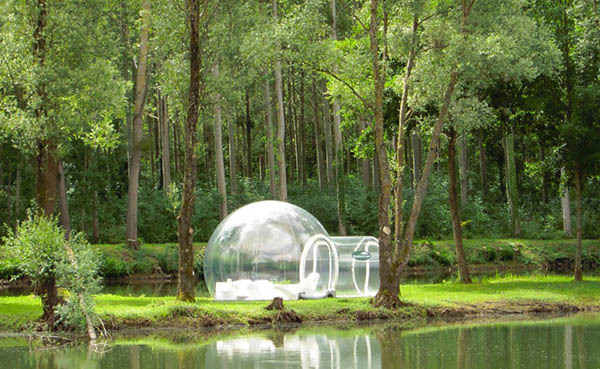 The transparent inflatable bubble tent lets you live outside, but with all the comforts of home. The four meter tent has enough space to host 2 people. 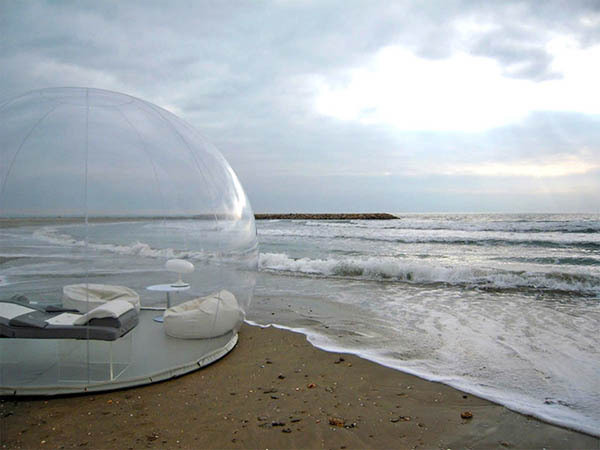 Alougth this tent isn’t point-rock resistant, it is water-proof and fire retardant. Hence, it is prefect when you want to roast smores outside in a raining day. 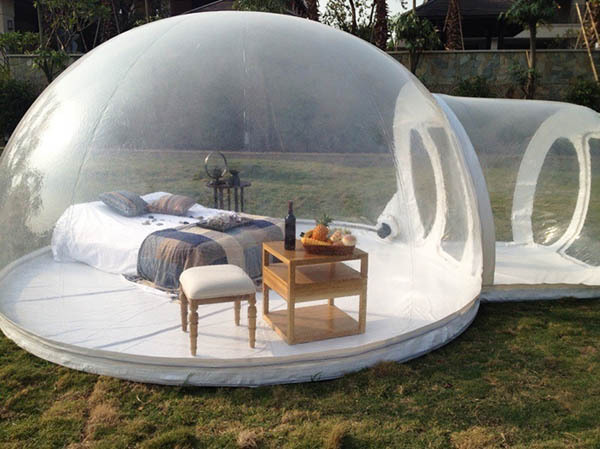 Of course, 1000 USD for a tent might look a bit expensive. It might be worth it for its comfort and easy setup. You can purchase it on Amazon now.